Where are you going? Is a great question to ask yourself to help be intentional about what you are doing for the Kingdom of the Lord. THanks for sharing! Thank you for sharing! Great question to ask ourselves. Thanks for sharing! 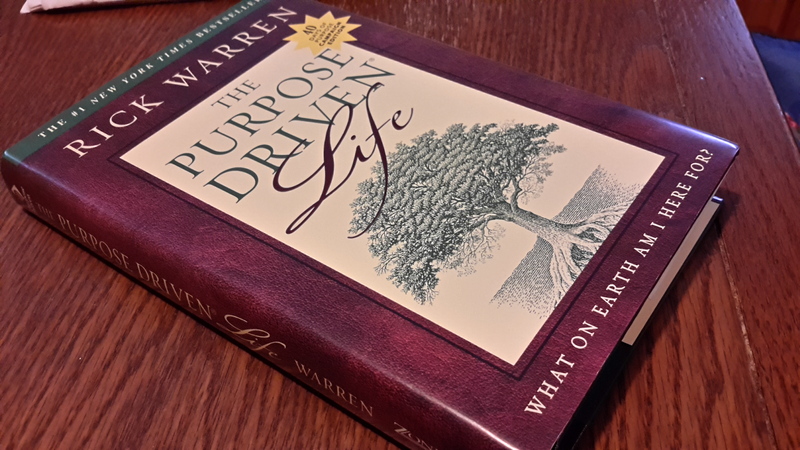 It has been about 7-8 years since I went through Purpose Driven Life. Amazing how much you forget. What Kingdom will you serve? is a great reminder where our ultimate focus should be each day. What am I doing for the Kingdom today? Purpose Driven Life started an entire movement in the Church. :) There are several great nuggets in the book. Glad you are finding them. I love The Purpose Driven Life. I haven’t read it in a while, but it would be a good time for a re-read! That thought hit me–everything we do serves a Kingdom. Challenges me to be aware of all my daily activities. Honestly? I have never asked myself this question, but it’s a deep and meaningful question that we need to answer and answer honestly. Definitely thought provoking! I will need quite some time to trult ponder about this. For now, wherever God takes me will be where I am. I have recently found what i believe to be my purpose in life. Everything i’ve done in the past has lead me here. Most people fear death because of those they will leave behind. We all have different beliefs on what happens after death but I personally do believe in an after life. what drives me is my happiness, my children’s happiness and being able to be in a position to do good for those less fortunate. All those reasons don’t necessarily align at the same time but, they are my drive. I haven’t heard of this book but it sounds like one that I want to check out. Lovely words. I love books that feature positive messages in it. What drives me is doing things that give me happiness and helps me to move out of my comfort zone! It is good to read something that makes you question your purpose in life and how you will end it. Better than reading or watching uselessness that try to make you feel bad about yourself. I really love to read the purpose driven in life.. Everytime I read this I get more inspired and my faith is getting more stronger..